What is the Best Shampoo for English Bulldogs? 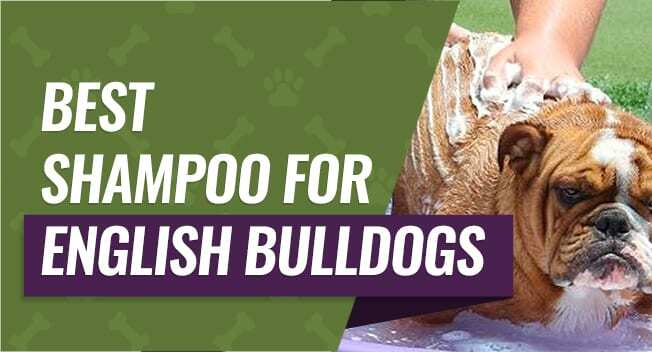 What is the Best Shampoo for Your English Bulldog? While all dog breeds can develop skin conditions throughout their lives, bulldogs are one breed that is predisposed to developing a variety of them. Part of your bulldog's charm is their wrinkles, but this is where bacteria can thrive and lead to itchy or sore patches of skin due to the higher moisture. You want to keep your bulldog clean, especially in their folds of skin, and our picks for the best shampoo for English Bulldogs can help you do this. Preventing itchy skin and infections is the best thing you can do for your English Bulldog, and we'll help you choose a great shampoo that can help to keep your dog's skin healthy. Your English Bulldog has folds of skin where moisture collects, and it is a warmer temperature. This bacteria can multiply rapidly and lead to skin and coat problems that can be painful if you don't treat them. Dry, Flaky Skin - If your dog starts to develop dry and flaky skin, you may start to notice dandruff in and on their coats early on. Dry skin is itchy skin, and you may notice your dog scratching more as their skin continues to dry out and flake off. Hot Spots - Hot spots are patches of your dog's skin that develop lesions and feel warmer to the touch than other areas of their body due to irritation. As your dog licks or scratches at the hot spot, it can grow at a rapid pace and develop into an open sore. Inflammation - If your dog has dry or itchy skin, they tend to dig at in constantly to try and make the itching stop. 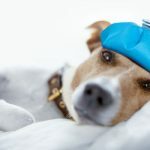 This can quickly lead to inflammation, and your dog may even scratch or bite open sores into their skin if you don't stop the itching. Itchy Skin - One of the main things you'll notice with your English bulldog is that they develop dry and itchy skin. They can scratch and rub this skin raw as they try to find relief, and open sores could lead to a greater risk of infection or other complications. Odor - Many English Bulldog owners have commented on their dog's odor, saying it is very strong, even a day or two after they bathe them. This is usually a sign of oily skin, and it's one of the first warning signs that there let you know it may be a good idea to check your dog's skin and coat for bacteria or inflamed areas. Now that you know what a few of the most common coat and skin problem symptoms are, you have to know what the actual problems are so you can choose the best shampoo to help treat the problem. 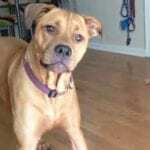 Demodectic mange is a skin and coat condition that is caused by microscopic mites or parasites, and it is generally divided into two broad categories. Localized demodectic mange is typically found in puppies, and it is a result of them having an immature immune system. Generalized demodectic mange is typically found in adult dogs, and it can be caused by an underlying problem with their immune system. Bulldog Flank Alopecia means that your bulldog loses their hair in their flank region around the same time each year. This skin condition is thought to be contributed to the lower levels of sunlight your dog's hair follicles see in the winter months. The hair follicles stop growing, and the hair falls out, leaving a bald spot. One of the most common problems people see with their English Bulldogs is called skin fold dermatitis. This condition can develop over time, and it develops because moisture gets stuck in your bulldog's skin folds and allows for bacteria to grow and thrive. Also, your bulldog's coat can rub on these areas causing very small open sores which give the bacteria a starting point. Symptoms of skin fold dermatitis include excessive itching, open sores, and pink, inflamed skin, especially around your bulldog's skin folds. 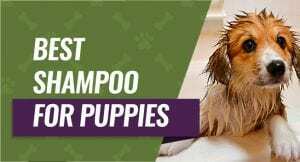 As there are thousands of dog shampoos available that are specifically geared towards dogs with skin problems, it can be difficult to find a good one. 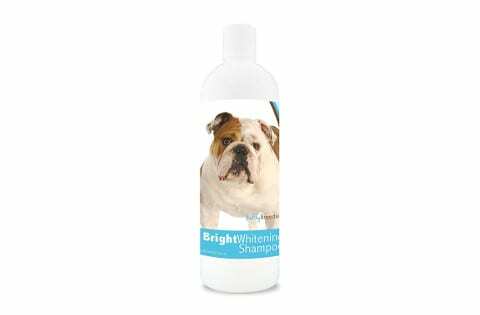 But, there are a few key components you want to look for in your bulldog's shampoo. Antifungal Properties - If you're considering buying an antifungal medicated shampoo for your English bulldog, you want to make sure that is has Chlorhexidine, Ketoconazole, or both listed on the ingredient list. These two ingredients have powerful antibacterial and antifungal properties that can help reduce and treat the cause of many skin problems your bulldog may have. Deodorizer - As we mentioned earlier, bulldogs tend to have an odor, and this can get worse if your dog has a skin condition. A shampoo with a deodorizer can help your dog smell better, and it can help to gently clean their skin and strip away the excess oil that could contribute to their stronger odor. Soothing Agents - While the antibacterial or the antifungal ingredients go to work, you're going to want something in your dog's shampoo to give them relief until it actually starts treating the skin problems. Aloe and oatmeal are excellent natural soothers that you can find in many medicated dog shampoos that can help reduce itchy and inflammation. This medicated shampoo contains both Chlorhexidine and Ketoconazole, and they combine to act get rid of fungus, parasites, bacteria, and yeast. It also contains a strong deodorizer that works to gently clean your dog's skin of any excess oils and remove any bad odors. It is a veterinarian-grade shampoo that also contains soothing aloe that will help to stop the itching and inflammation while the anti-fungal and anti-bacterial properties go to work. This shampoo is made in the United States, and it follows very strict quality and safety guidelines as well. Pet parents who bought this shampoo said that they saw positive results within a few days of using this shampoo, and it had a very pleasant scent. They also said that the directions tell you to leave this on for at least five to ten minutes, and many dogs won't sit still for that long. This soothing shampoo contains 100 percent all natural ingredients including shea butter and aloe that work to sooth your dog's skin and coat. It nourishes the skin and works for dandruff, dry skin, alopecia, hives, and more. This shampoo helps to lock in healthy oils to increase your dog's coat appearance and feel when you use it. This shampoo is made in the United States by a company that has the Good Manufacturing Practice certification. People who purchased this product liked the fact that it soothes your dog's skin while working to restore their coat to a soft, healthy and shiny state. They didn't like that it had a very strong and sweet scent that tended to be slightly overpowering. This medicated shampoo contains 2.5 percent benzoyl peroxide, sulfur, and salicylic acid to help fight bacterial infections and sooth your dog's skin and coat. It is designed to gently soothe and treat skin fold infections, hot spots, acne, greasy skin, staph infections, and more. Your dog's skin and coat will get a layer of natural moisturizers and herbal fragrances when you use this shampoo. 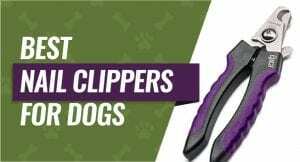 It also works to flush any oily buildup out your dog's hair follicles leaving them clean and healthy after each use. Pet parents who purchased this shampoo liked the fact that this shampoo starts to work almost immediately and that you can usually see positive results within a few days of bathing your dog. They didn't like that you had to let the shampoo sit on their dog's fur for between 5 and 10 minutes for it to work well. This gentle shampoo comes in nine different light fragrances, and it contains a natural formula with no dyes, parabens, or alcohol. It can help to cut the oil in your dog's coat and on their skin, and it's gentle enough to use around their eyes. 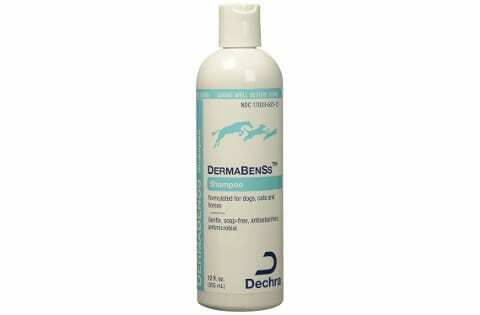 It is formulated for dogs with skin folds to get in and clean out any bacteria without being too harsh on their skin. It'll also help to remove any excess dirt or dead skin from their coats leaving them healthy and shiny. Pet parents who bought this shampoo liked the fact that they could choose from nine different scents and that it was gentle enough to use around their dog's eyes. They didn't like that it could take a few washes to see an improvement in their dog's skin or coat. This shampoo cleans down to your dog's skin level thoroughly so they end up with a whiter, brighter smooth and shiny coat and healthy skin. It has a pH balanced formula and oatmeal to soothe your dog's irritated and itchy skin. This shampoo also works to control any tangling or matting issues your dog may have with their coat, and you get a rich lather that is easy to rise out. It also comes with a very light tropical scent. People who purchased this whitening shampoo for their dogs said that they liked how soft, bright, and shiny it mad their coats. They didn't like that this shampoo seemed to dry out the ends of their dog's coat, so it was more prone to tangling. Our choice for the best shampoo for English Bulldogs is Curaseb Antifungal & Antibacterial Chlorhexidine Shampoo. It contains Chlorhexidine and Ketoconazole to help rid your dog of several common skin and coat conditions caused by both parasites and fungus. It also contains soothing properties that give your dog relief while the shampoo goes to work.